The Nigerian Minister of Finance, Honorable Kemi Adeosun, visited IITA on 10 June to look at the IITA Agripreneurs Program (IYA) and learn more about the African Development Bank-funded ENABLE Youth (Empowering Novel Agri-Business-Led Employment) Program. 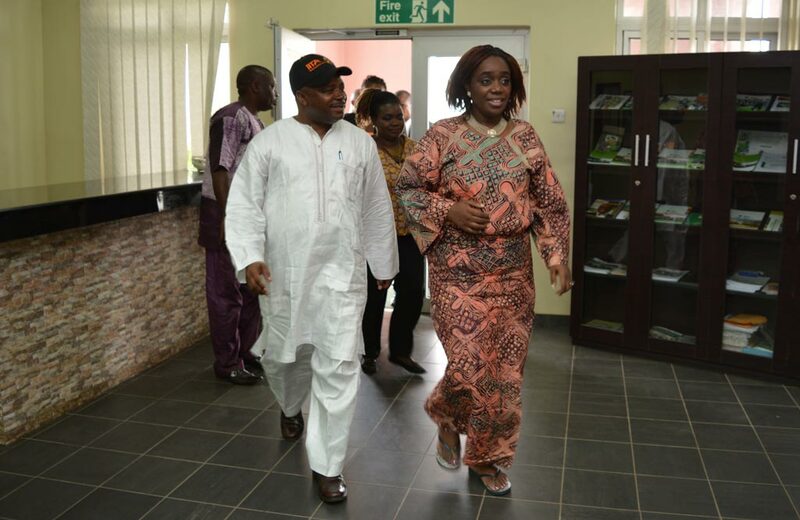 DG Sanginga takes Finance Minister Kemi Adeosun to visit the Agripreneurs. IITA Director General Nteranya Sanginga and senior staff, including members of the IYA, welcomed the Minister and her party. After a short discussion with the IITA team, the Minister met the Agripreneurs—about a 100 of them—graduates of different disciplines, some of who talked about how the IYA program had changed their mindsets about agriculture and agribusiness, and how it is now transforming their lives. Several youths provided testimonials on how they, in the different locations in Nigeria, have succeeded in their start-up businesses, thanks to the training and initial support received from IITA and various partners from the private sector, development partners, and international organizations. 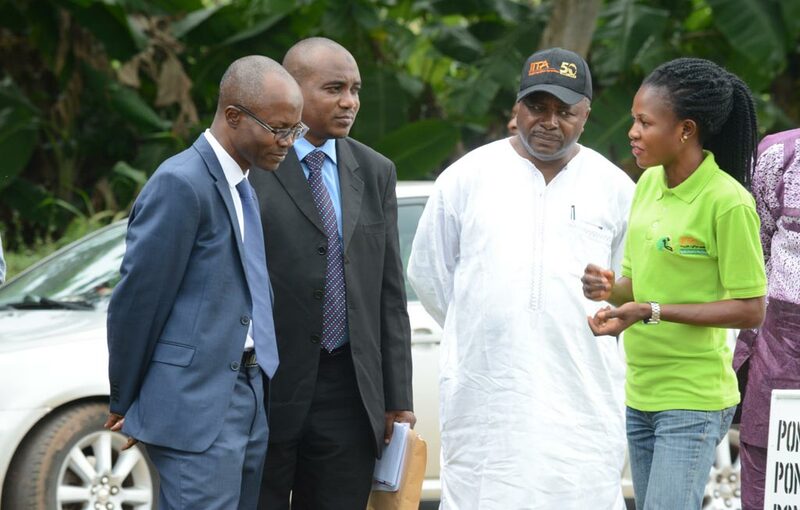 “We came to IITA to assess a project (ENABLE Youth) being considered by the Federal Government. From what I have seen today, I am extremely impressed and inspired! 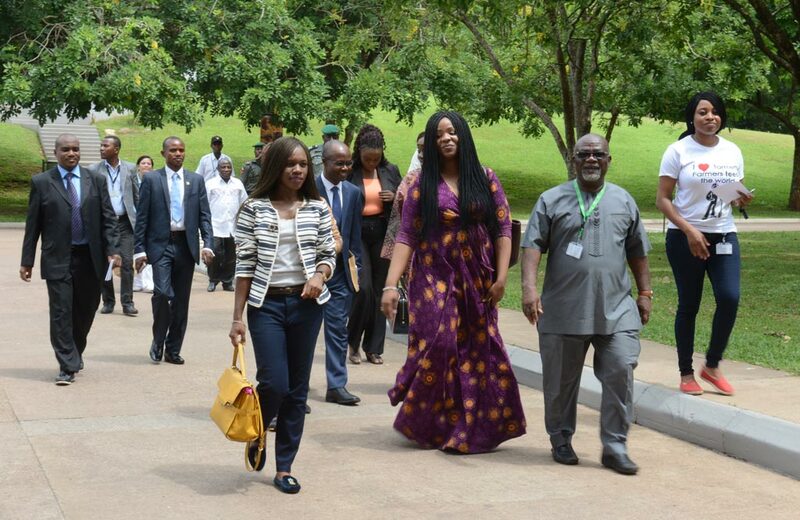 … We should work on how we can roll out this project nationally!” the Minister concluded. 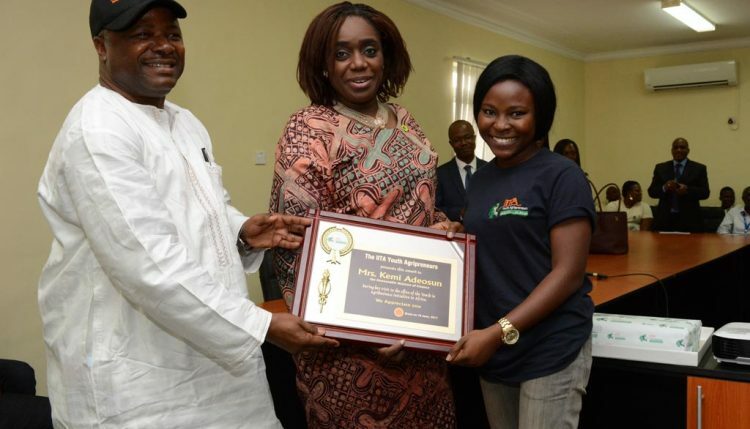 AfDB had approved the ENABLE Youth Nigeria program and will provide US$300 million as a loan to contribute to job creation, food security and nutrition, rural income generation and improved livelihoods for youths in both urban and rural areas in the country. Deputy Director General, Special Duties, Kwame Akuffo-Akoto, welcomes the Finance Minister’s party to IITA with Interim Head of the Youth in Agribusiness Office, Evelyn Ohanwusi. 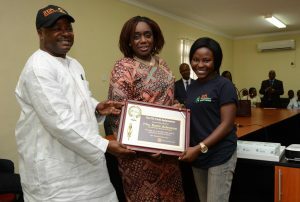 DG Sanginga and an Agripreneur presents a plaque to HE, Kemi Adeosun. ENABLE Youth is expected to create business opportunities and decent employment for 1000 young women and men along priority agricultural value chains of various enterprises per state, including Abuja, the Federal Capital Territory. 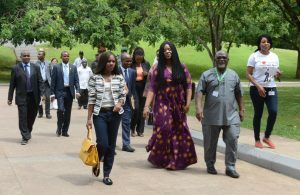 The Minister’s team included Ahmed Aliyu, Director, International Economic Relations, Special Adviser Adora Asonye, Technical Assistant Tolulope Kasali, and Chief Administrative Officer (Agriculture) Abubabkar Ibrahim Matazu, among others.